As the central point in the home, your kitchen serves as the hub for most of life’s daily activities. This extra use motivates many homeowners across British Columbia to seek out high-quality lighting and plumbing supplies to outfit their most versatile space with beauty and convenience. 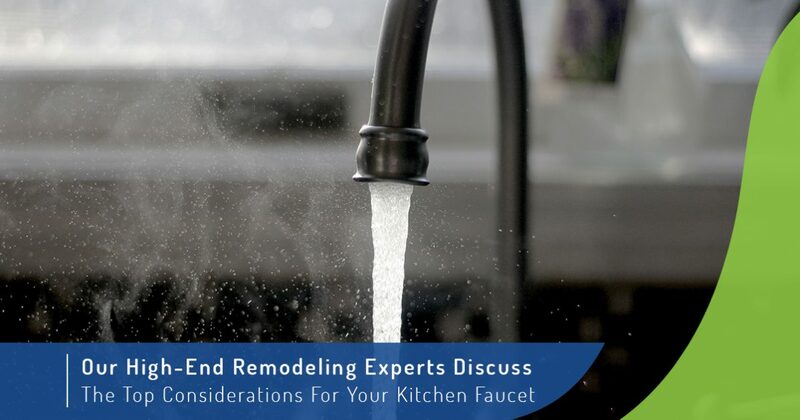 One decision that often besets homeowners is what to do about the kitchen faucet. This plumbing fixture is often the central point of kitchen designs, standing as a strong reflection of the quality of your kitchen remodel. Purchasing the perfect sink faucet can elevate your design to new heights, but a poor investment may leave your renovations lacking. Homeowners seeking out a high-end lighting and plumbing store in Vancouver or Surrey can benefit from shopping with SaveMore Plumbing & Lighting. Our high-end kitchen and bath showrooms display amazing products that are sure to deliver the most value for your budget. We’re dedicated to customer satisfaction, and will help in any way we can. Read on to catch up on a few considerations to mull over before buying your ideal kitchen faucet, and be sure to stop by our home improvement store for expert advice! Modern kitchen faucets come in all shapes and sizes to tailor to every style and home design. Many homes in Vancouver and Surrey feature plumbing fixtures that command the space of the room while not getting in the way of other elements. An open, sunny kitchen window can be disrupted by a towering faucet, or the kitchen cabinets may end up in close proximity, disrupting the beauty and convenience. How much water you use and the temperature it is heated to will depend on the mechanisms deployed by your faucet’s handles. Many homeowners seek out the classic beauty of two-handle systems while modernists enjoy the quick, simple design of their single-handle faucets. Each delivers different methods of adjusting the temperature and speed at which water exits the faucet. While simple in concept, this minor detail can result in major changes to your kitchen design. Pull-down — At the end of a gracefully curved faucet, you’ll find this sprayer facing downward and ready to be extended for easy use. Pull-out — Similar to the pull-down faucet, this sprayer may angle outward. In either case, it can pull out and uncoil for added dishwashing powers. Separate spray — Affixed along the neck of the faucet, you can find a separate sprayer that delivers its own stream of pressurized or filtered H2O. Aligning all of your sink’s demands and investing in a high-end plumbing fixture can all be for naught if the style clashes with the rest of your kitchen remodel. Conversely, a bold, luxurious faucet can enhance your design and improve the overall feel of the space. Many homeowners focus on style as the top priority, and it’s easy to understand why — if you’re not excited about your updated plumbing supplies, then what is the point? Today, plumbing fixtures are often designed to be as versatile as possible to ensure a quality fit for as many customers as possible. When you are shopping, be aware of the sizing and requirements of your new faucet in relation to your sink basin. Exact matches are not necessary in most instances, but practise caution if the dimensions are way off! Investing in the perfect sink can do much to enhance the convenience and value of your remodel. SaveMore Plumbing & Lighting is here to serve as your trusted home plumbing store in Vancouver and Surrey, delivering ideal expectations to match every project. Our team also specializes in lighting for your kitchen and bath, so be sure to contact us online or stop by today!